Views, views, views! Enjoy the unobstructed, breathtaking views of the beautiful Organ mountains from your backyard and through the many windows. 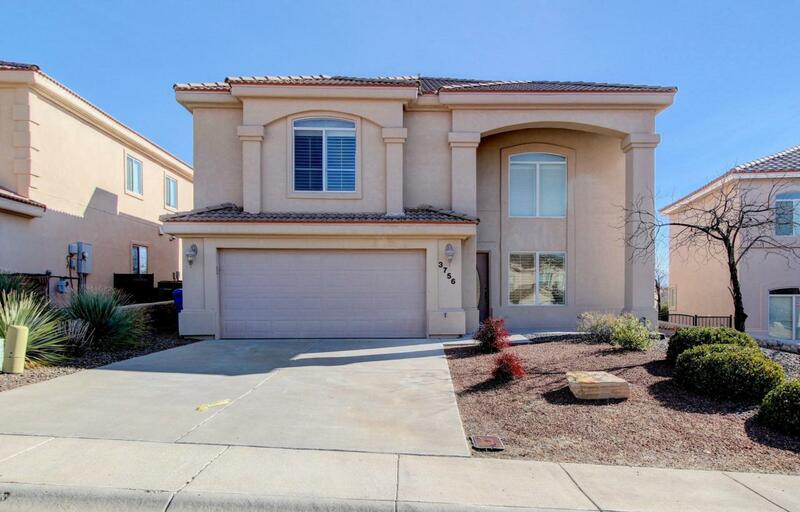 This wonderful spacious, 2329 square foot house has plenty of space for all of your needs! Formal living room is a great place for your grand piano or how about a quiet reading area. Formal dining room is perfect for entertaining guests. Large family room has a gas fireplace and French doors to the patio. Kitchen has separate eating area and all stainless steel appliances are included. All four bedrooms are on the top floor. You'll love the large master suite (16' x 20') with big walk in closet and bathroom. Master bathroom has a jet tub, shower stall & two sinks. Half bathroom downstairs. Xeriscaped backyard is easy maintenance. This home is located only minutes from Highway 70, shopping and restaurants. Make an appointment to view this home today!